At Above the Rest Garage Doors, safety is of the upmost importance when it comes to repairing and replacing garage doors. One of the most delicate parts of an automatic door (and the most tedious to fix) are the springs. 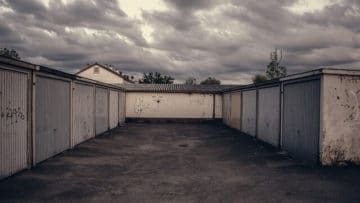 Your home’s garage door torsion springs are not to be messed with or neglected, since they’re key to keeping your garage door functional and safe through the years. On average, an uncoated garage door spring should last up to a decade, or 10,000 cycles. That’s based on an average use rate of 3-5 times per day, in the best conditions. But unfortunately in Colorado, conditions are not always perfect for garage door springs to last. Our climate tends to cause more intense temperature changes throughout the year, which can cause garage door springs to degrade faster. And of course, if you use your garage more frequently, springs will not last as long. Regular maintenance and inspection can be a key part of avoiding costly repairs in the future, and keeping your family safe from unexpected damage or breaks. If a torsion spring breaks while a garage door is closing, it can cause the door to fall quickly, leading to serious injury. Our job at Above The Rest Garage Doors is to avoid things like this across El Paso county. If a garage door spring breaks, it’s best to keep your distance and call the experts right away. 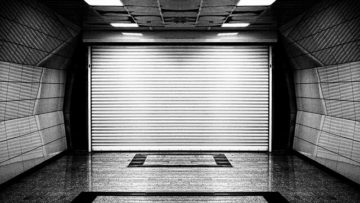 Garage doors are large, heavy, and difficult to repair on your own, especially without any prior training or experience. At Above The Rest Garage Doors, we value your family’s safety and satisfaction the most, so let us handle any repairs you might need. Steel torsion springs are strong, and require a lot of pre-load tension, which can hurt you if performed improperly. Our mission is to serve Colorado families with precise, timely work that won’t break the bank. Speaking of the bank, let’s talk cost. Our services come at a competitive price and great value to your family. You can count on Above The Rest Garage Doors to get the job done right the first time, keeping costs down for you. We’re also able to tell you exactly what size torsion springs your garage door needs for correct and lasting repairs. Think it’s time to check on those springs? Call Above The Rest Garage Doors today to schedule an appointment or ask questions about the state of your garage door.